These Are the Companies That Pay Their Employees the Best in the U.S. When you're going for a job, it’s easy to be blinded by a high salary over a number of other important factors like company culture, perks, benefits. But the reality is you’re not going to pay for your new house with a few extra vacation days. Money matters, and it’s totally fine if that’s a determining factor when you’re deciding where to shop your resume. 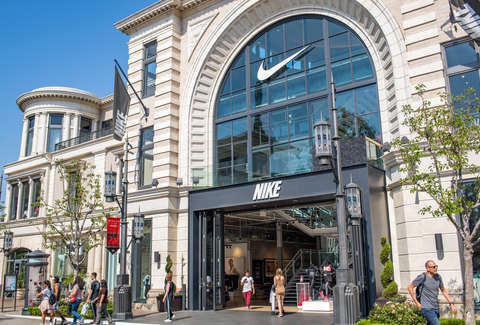 And if you are looking to jump someplace where the pay is among the best in the country, you’ll want to take a look at this brand new list that reveals which companies currently offer the best compensation in the United States. This new list comes from the folks at Comparably, a site that enables employees to rate how well small, medium, and large companies reward and treat their workers. To determine the which ones made the cut for 2018, the site took a look at companies with the highest average salaries and highest internal sentiment about pay, and ranked them accordingly. Specifically, they considered anonymous employee ratings submitted between September 2017 and September 2018, and broke up the findings into two lists: one for large companies (those with 500 or more employees), and one for small and mid-size businesses (those with fewer than 500 employees). Coming out on top in the large company category was Google, followed by Facebook, then Salesforce. 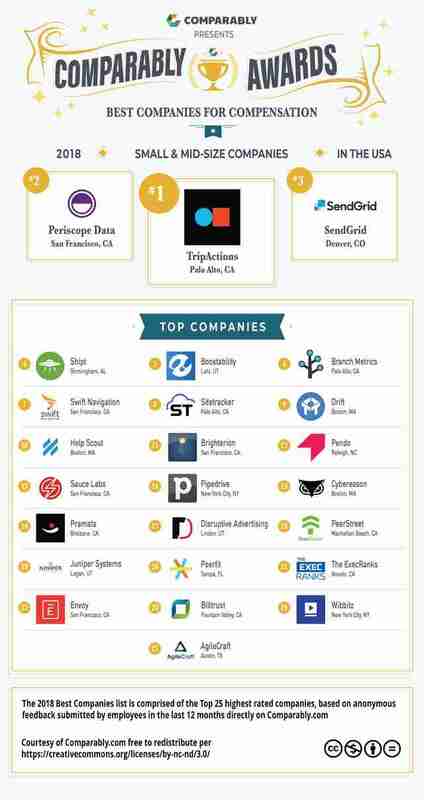 For smaller employers, TripActions took the top spot, while Periscope Data and SendGrid took the number two and three positions, respectively. Here's how the top 10 broke down for each. As you'll probably notice, a good deal of the top companies in both lists are in the technology field, and subsequently, the majority of them are also headquartered in and around Silicon Valley. Still, there are plenty of others on the list that don't fit that mold, like Nike, Starbucks, Home Depot, and Delta Air Lines, so you obviously don't have to work in technology -- or California -- to find an exceptionally well-paying gig. Then again, if you're simply looking for a good job with flexible hours pays well, lets you work from home, and comes with one of the greatest perks of all time, may we suggest throwing your hat in the ring to taste test pizza professionally.